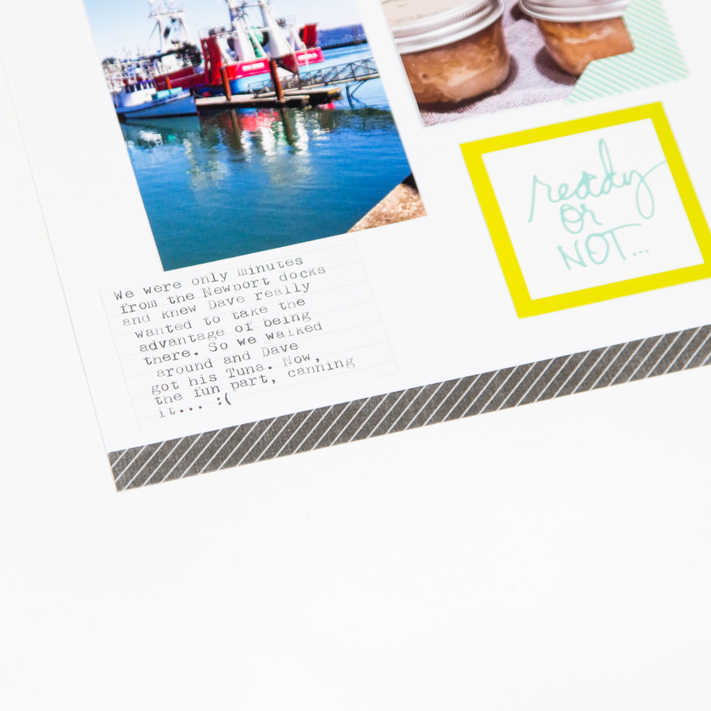 I hear from people all the time that they wish they could scrapbook more. That they have been wanting to document or print their pictures but just haven't. Some excuses are that it takes too much time to do so. The digital age has made life easier in so many ways. We can now email instead of waiting for a letter to take weeks to get across the world. We can take photos and see them instantly instead of waiting for film to develop. We can now print our pictures at home instead of driving across town to turn film in and them pick them up days later. The digital age has made it easier and faster for us to capture our memories. Scrapbooking hasn't stayed in the dark ages. It has evolved too! Now you can create pages in minutes. Now, we can use an app on our phone and develop our photos from home. 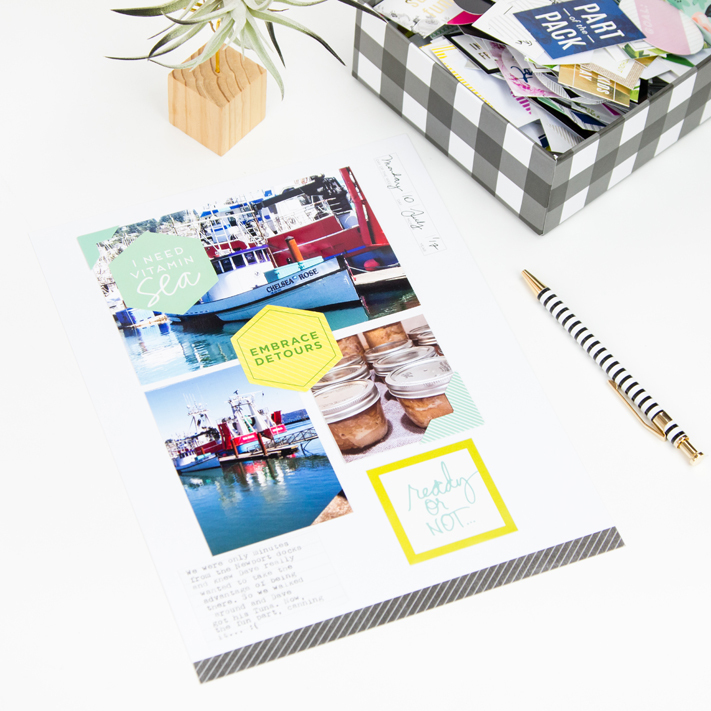 Whether you are using a home printer, printing locally, or having photos shipped to your home you can develop your photos in your pjs at midnight if you wanted. Then, Heidi Swapp's Storyline albums make it easy to pull the page out of the album, add your photos, and the Storyline stickers that help kick off what to write about on the page. This page literally took me 5 minutes! Some people have asked me, "With the digital age why should I even print my photos? If people want to see a photo I just show them my computer, phone, or post to Facebook." Those are all great ways to keep your photos, but have you ever had your phone or computer crash on you? Have you ever lost either and the photos along with them? How many times have you sat your child on your lap to flip through your Facebook profile to show them photos of themselves as a baby until now? Does your child know what they looked like as a baby? Have they seen photos of you on your wedding day? Documenting photos doesn't have to be hard. It can mean the world for those you are printing for.